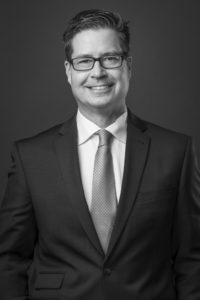 Doug McCartney is the managing partner at Burstall LLP. He has over 18 years experience advising clients in the areas of mergers and acquisitions, corporate finance, corporate commercial shareholder disputes and corporate governance, franchising matters and insolvency and corporate restructuring. He acts for national and international clients in respect of mergers and acquisitions, public and private equity and debt financings, secondary financings, venture capital investments, and all relevant regulatory matters relating thereto, including dealing with stock exchanges and securities commissions. In addition, he acts for vendors and purchasers in mergers and acquisitions involving public and private companies, issuers and underwriters in corporate financings, including restructurings and refinancing transactions. Mr. McCartney also practices general corporate and commercial law, employee share ownership programs, shareholder agreements and shareholder disputes, including proxy contests and disputed shareholder meetings, franchising matters as well as insolvency and restructuring matters. Mr. McCartney serves, and has served, as an officer or director of several public and private companies in the oil and gas (and related industries), including oil and gas exploration, development, services and technology, restaurant and internet technologies industries. Mr. McCartney received a Bachelor of Arts (History) from the University of Calgary in 1995 and a Bachelor of Laws from the University of Saskatchewan in 1998. He was called to the Alberta Bar in 1999. Mr. McCartney became a partner at Burstall LLP in 2008, was the managing partner from 2012-2013 and from 2015 to present.